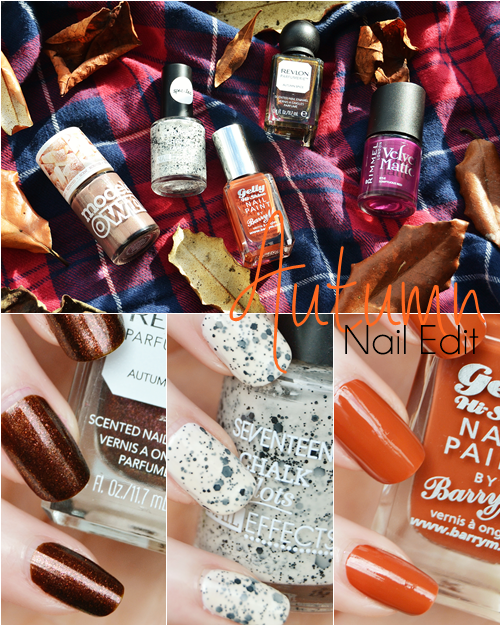 After months of brights and pastels Autumn nails can come as a refreshing change. It personally gives me the opportunity to sport more chic nails with deep berry shades and experiment with different textures. However you need not spend that much at all to be on season with all my favourites here costing no more than £5 and all available on the high street! £6.49 - Boots or in select Poundworld stores! Ahhh Revlon you always get it so right. From their standard nail enamel range to their newer Parfumerie scented collection I've always been a fan and with their latest shades I think I may even be more in love with them! 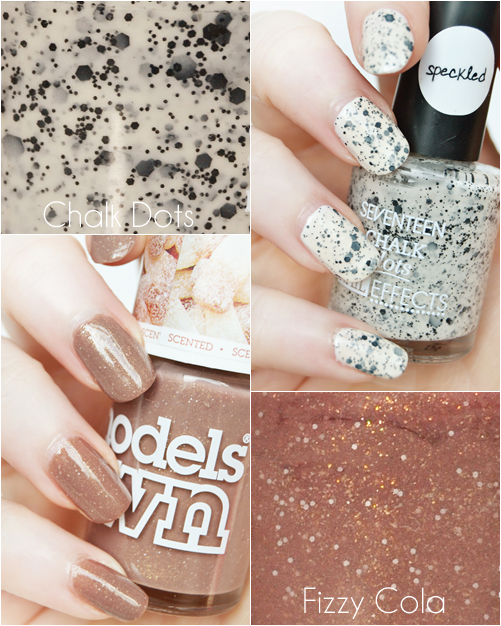 Autumn Spice is undoubtedly an ideal shade for autumn/winter with it's beautiful duo chrome brown/pink sheen. The formula applies amazingly well and lasts without chipping. As for the scented aspect of the range I'm still debating in my own head the point, even though I'm always drawn to them . I've yet to come up with a reason for scented nail polishes to exist but Autumn Spice certainly smells lovely and cosy! 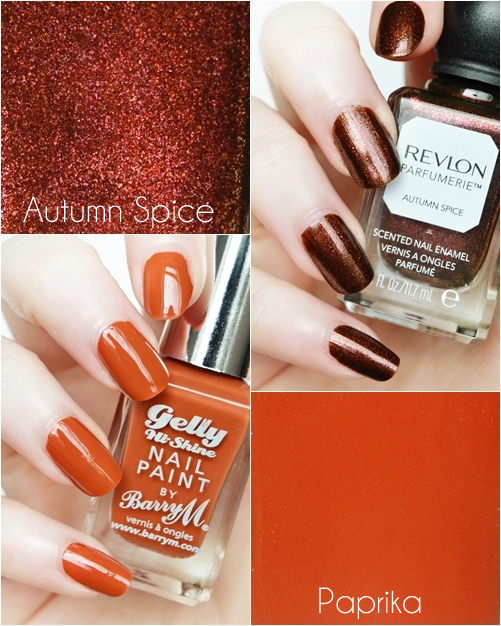 Barry M are certainly on point with their latest a/w nail polish offerings in the Gelly range. Out of the 6 new shades released Paprika is without a doubt the most autumnal and my personal favourite. Like all shades in the Gelly range this applies perfectly, looks smooth and glossy and requires only 2 coats. Chilli and Mustard (which you will either love or hate!) are also perfect shades for Autumn. Not an obvious autumnal choice here but a nail polish top coat I was instantly drawn to in Boots. In a strange way I feel this fits with the marble interior trend at the moment with it's grey tones instead of it being just a contrast of black and white. The speckled effect looks amazing on and certainly a nail polish people are likely to admire. For reference I applied 2 coats over a white nail polish base as it quite milky/sheer. A softer option here with a light brown nail polish that contains an interesting mix of fine gold shimmer and small white dots. This looks lovely and warming on the nails and works well with pale skin tones . Application is a breeze and the gold shimmer is subtle but stunning when it catches the light. Also the scented cola bottles scent is addictive - must remember to not sniff my nails in public! I also planned to feature one of the new Rimmel Velvet Matte Nail Polishes in Sumptuous Red however within a day it had already chipped and continued to horrendously chip and flake off on day 2 of wearing it. A gorgeous shade and finish but sadly not a nail polish I can recommend based on how badly it chips - shame on you Rimmel! Hope you'd enjoyed this nail post - I loved taking the pics for it!